Have we been training incorrectly? Incorporating certain illogical concepts into the finite reality of the "square range" and if we have, should we change it? This question comes up, from time to time, and it did after I wrote The Carry Reload in early 2017. There was a lot of research that needed to be done, so I sought out people who I knew had the experience I was looking to reference, to contrast against my own, and I wanted to get other information from various sources because I wanted this to be as unbiased as possible, I wanted the facts to lead me. The problem which we are constantly plagued with in the training industry is that we try to reinvent the wheel, we try to stick to the known, friendly and acceptable methods of instruction. The issue which comes out of this type of dogmatic training paradigm is that we find ourselves repeating drills based on nothing more than perceived need of doing so, or attempting to achieve some sort of status. 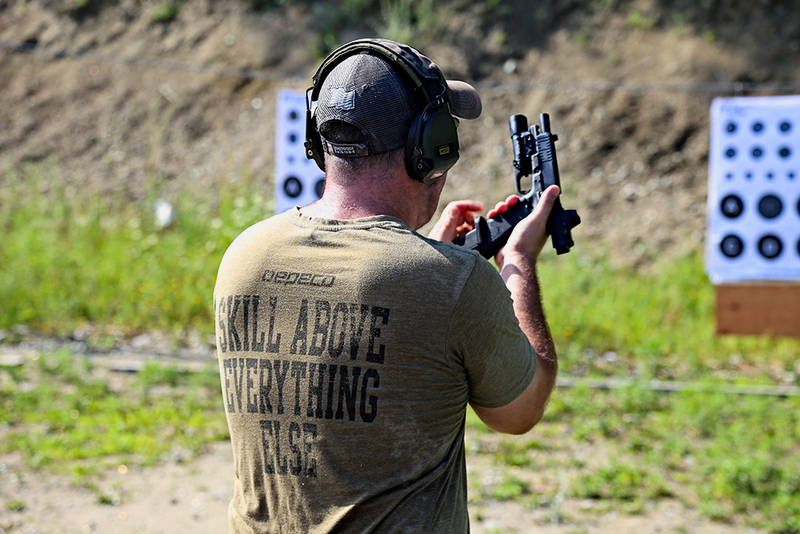 Reloading is one those aspects of various drills which a lot of instructors incorporate in their coursework, and it should be, but should it be regarded to at such a high level as to completely detach itself from the requirements of reality? Excellent article. Sums up a lot of what I haven’t been able to put into words. Thanks for the investment of your time etc. So you carry a 24 round Glock mag in your back pocket, everywhere? That kinda sounds uncomfortable to me, especially when seated in a vehicle. I've been carrying a belt-mounded reload on my left side, opposite the pistol, for a long time. Perhaps I'm just used to it. It's most often a 17 round M&P mag or 17 round Glock mag. I like knowing exactly where the mag is and how it's positioned (as in bullet tips toward the center-line) and for me, it balances out the weight of the pistol just a bit. Unsecured heavy items also have a tendency to depart unexpectedly when engaged in activities like running, jumping, falling, etc. Rock on! When it comes down to it, do what works for you.